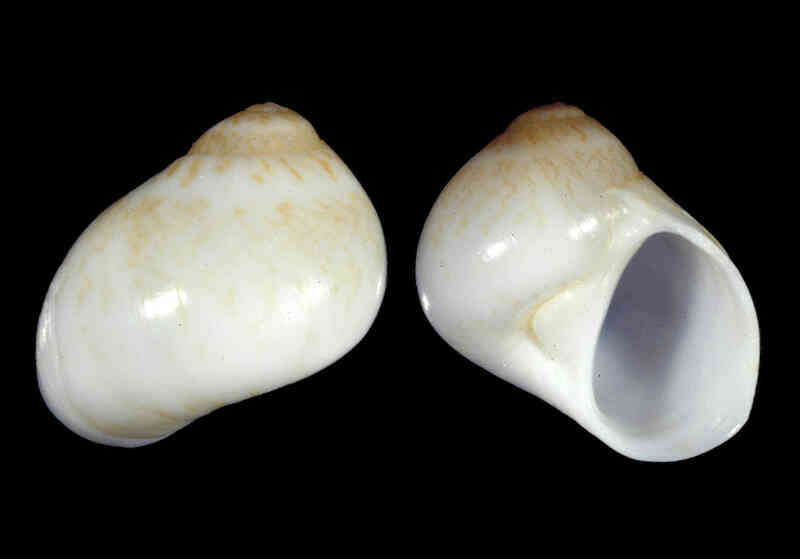 Shell size to 8 mm; shell globose. Spire low. Body whorl encompassing most of shell. Surface glossy with faint growth lines. Periostracum brown, very thin. Umbilicus chink-like or completely covered by callus. Color light tan with irregular reddish-brown markings. Do not confuse with juvenile Polinices duplicatus.